TVH Team Trip - Portugal's Second City: Porto! Portugal's second city, Porto, is a charming and historic place to visit. We featured Porto in our last newsletter's "Guess the Destination" game along with the Douro valley, the wine region that produces Port wine, giving the city its namesake! If you'd like us to plan you a trip, fill out our trip survey! We visited the Douro valley and Porto for ourselves, first spending one night in a great bed and breakfast in the town of Mesao Frio. The winding, hilly roads of the valley and town made for some gorgeous views over the river and vineyards, and in the morning the valley filled with fog making for an atmospheric sunrise. After breakfast, you should definitely go to at least one of the wineries in the valley for a tour and a tasting, to try Port right at the source. The best time to visit to see the vineyards is at the end of summer when the grapes are ready for harvest, or in the fall when the vines change colors with the changing of the seasons. After enjoying the valley views we continued to Porto to wander through the streets of town as the sun set. 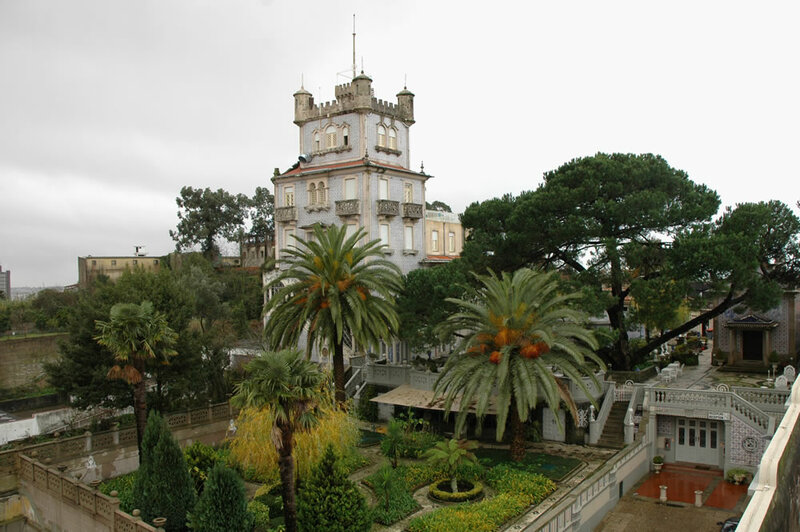 We found an great hotel to stay at in Porto, the Castelo Santa Catarina. Originally a mansion built by a textile baron in the 1880s, today it offers the chance to feel like you're staying in a castle right in the heart of Porto. The one thing you can't miss when you're in Porto is a visit to the wine aging cellars of Vila Nova de Gaia. Just across the river from the old town, the major cellars like Sandeman's and Taylor's offer tours and tastings of the wine that built Porto's economy. The waterfront area offers a great place to have lunch, watch the boats on the river, and appreciate the view of old town. We're not the only ones that love Porto! Check out what CNN Travel had to say about the rivalry between Porto & Lisbon. If you're ready to plan a trip to Portugal, we would love to help! Fill out a trip survey today to get started!